Perfect for a furry night on the town! 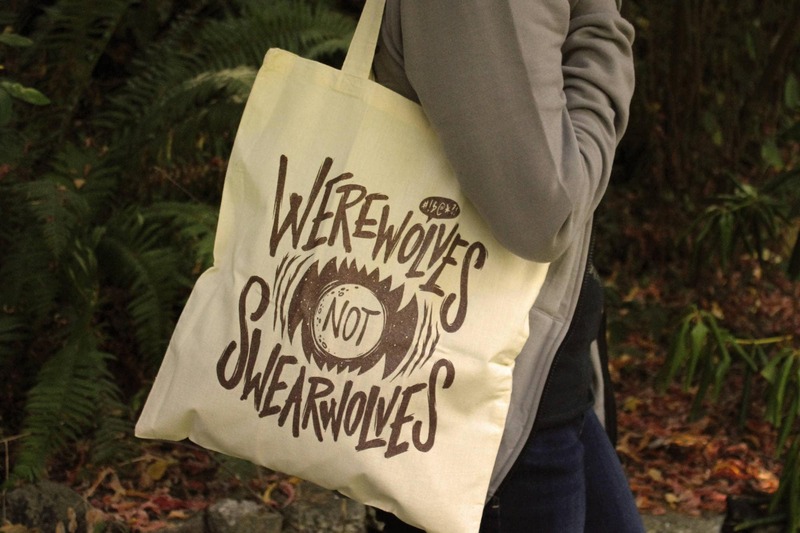 This Werewolves not Swearwolves tote conveys to the world how you and your pack feel about curse words. Inspired by What we do in the Shadows, this canvas tote is printed with a walnut shimmer ink for a fun metallic look. 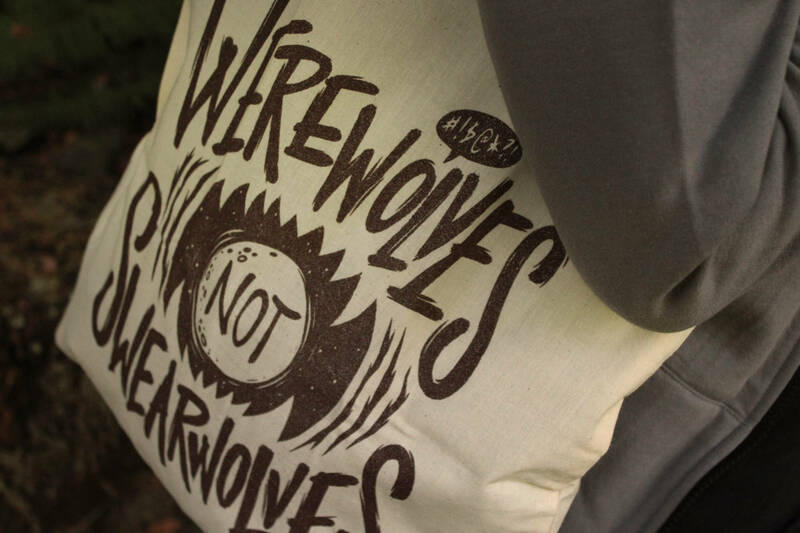 These lightweight cotton tote bags are 15x16", made from 100% cotton and printed with earth friendly water-based ink. Wash in cold water and lay flat to dry. Hand printed with shimmering brown ink. I LOVE THIS!!!! One of the best scenes from one of my favorite movies, made awesome on this tote. Perfect! Thank you! Great shipping and communication. The bag was exactly what I wanted. Perf! Arrived early and I can't wait to gift it! The design is amazing!